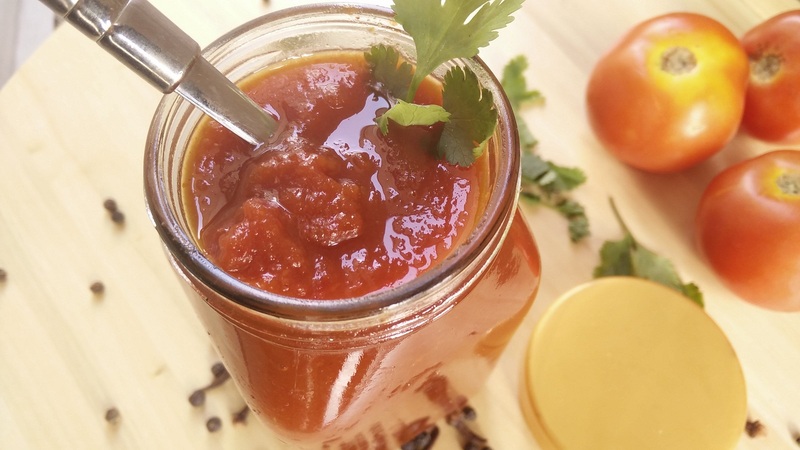 Learn how to make tomato sauce at home with this very simple method. Homemade tomato ketchup is always healthier as it is free of all artificial flavours and colours. 1. Wash and chop tomatoes. In a pressure cooker, add tomatoes, onions, garlic and little water. Cook till tomatoes becomes soft and pulpy. 2. Sieve the tomato puree and cook again with all spices. Tie the spices in a muslin cloth and add in puree. Cook for 15-20 for all flavours to get induced in the puree. 3. Once the puree gets thick, remove the bouquet garni and add rest of the ingredients. Cook till sauce like consistency is achieved. 4. Once tomato ketchup is ready, switch off the flame and add sodium benzoate mixed in little puree. This is a preservative, which can be avoided as well. 5. Sterilize the glass jars in which tomato ketchup needs to be stored. 6. 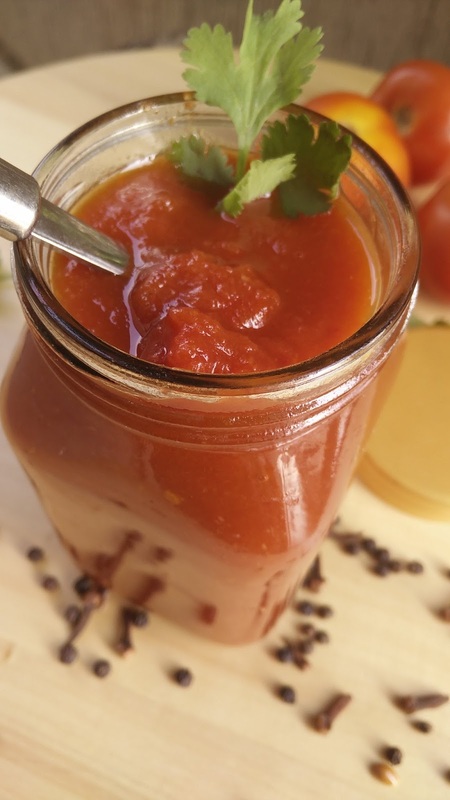 Serve this homemade tomato ketchup with fries, sandwiches etc.